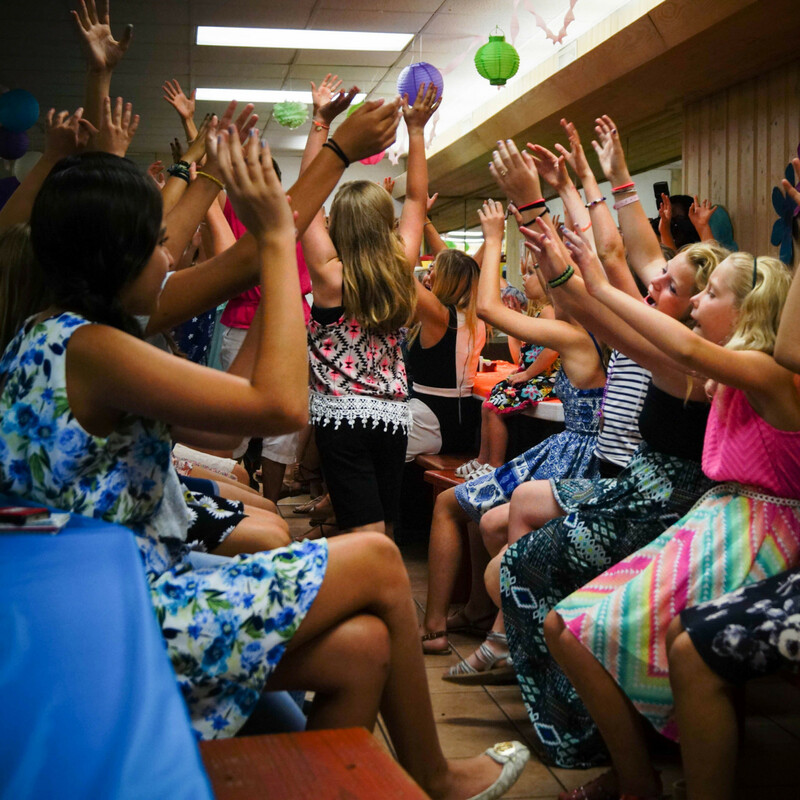 Outside of our regularly scheduled activities, we like to provide the girls with fun days to shake loose and have even more fun! 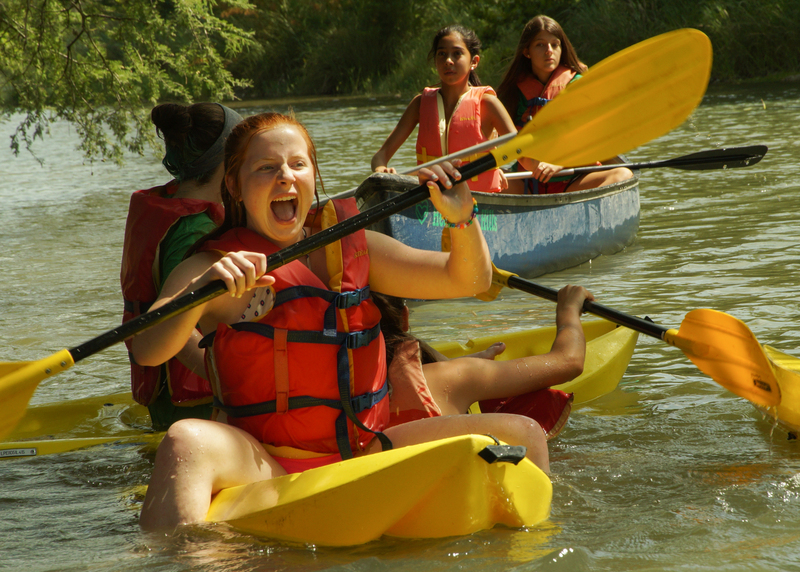 These days let the campers experience something other than their normal classes and create more memories! Evening activities span a wide range of fun. Some nights are calm and spent bonding within the tepee and other times, in games like Mission Impossible, are spent strategically sneaking across camp to earn tribe points. Our Program Director works year round creating new activities and enhancing the old ones. Our routine evening programs consist of weekly tribe hills, swim meets, gymkhanas, movie nights under the stars, and on Sundays, our own flavor of Vespers, a sing-a-long dance party performed first by the counselors to the campers as a gift then from one tribe to the other. Other evening programs include Big and Little Sister bonding activities, a competition day at Camp Stewart, and overnight, an evening spent cooking and camping out under the stars. This day is a day unlike any other at camp. The girls get to choose from a wide variety of seminars that come from all over the world. From Fiesta, Netball, Bottle Rockets, Cookie City, Harry Potter World, Advanced Canoeing, Zip-lining, and tons more; there is something for every girl to try. Seminar Day is a day where the ideas and fun are limitless and provides a change of pace from regular classes. Counselors bring ideas from their home countries and introduce them to the girls to allow them to see how people all over the world live. It also allows counselors to reach deep into their imagination to come up with non-stop fun for an oddball class once a term. From sunup to sundown, the girls are busy and learning new things that they would never get to experience any other time or place. Field Days at camp are filled with laughter among the green field under the blue sky. 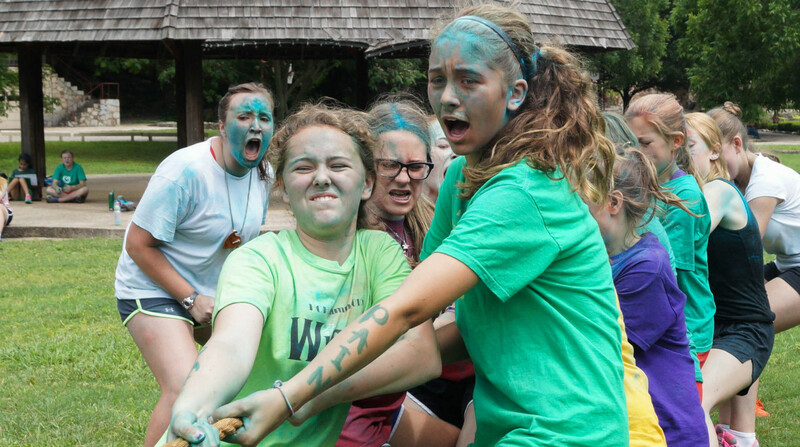 Field Days at camp are one of the largest and most anticipated tribe competitions. Both days have fun themes that are announced in the spring. 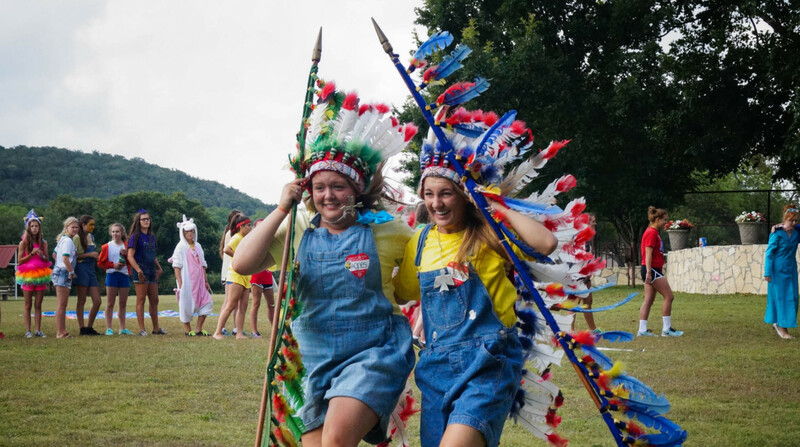 Some campers choose to wear a costume or a themed shirt to compete in. The first Field Day (the one Split Term A campers are here for) consists of many individual and small-group competitions such as balloon stomp, musical water buckets, obstacle courses, and other challenges. The day ends with divisional games of crateball, mat ball, or speed ball. The second Field Day (the one Split Term B girls are here for) is running field day in which campers are sorted into heats of 25 to 400 meter dashes. This highly anticipated field day also features the war canoe tug-o-war and practice race.